Republican candidate for mayor and real estate developer Paul Massey raised $1.6 million for his campaign in the last six months, besting the $1 million raised by Mayor Bill de Blasio in his bid for re-election, according to documents filed Tuesday with the New York City Campaign Finance Board. 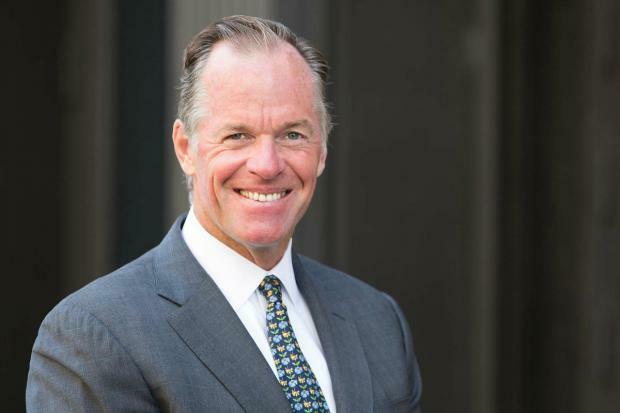 NEW YORK CITY — Republican candidate for mayor Paul Massey raised $1.6 million for his campaign in the last six months, besting the $1 million raised by Mayor Bill de Blasio, according to documents filed with the New York City Campaign Finance Board. Massey, a commercial real estate broker who sold Massey Knakal, the real estate brokerage he founded for $100 million in 2015, has little name recognition in political circles. He said the donations show New Yorkers want a change at the top. “My campaign is building a winning coalition of New Yorkers who believe our city desperately needs an independent-minded problem solver in City Hall," he said. "We will speak to and fight for the support of the millions of people who have been denigrated, ignored and disappointed by our current mayor." Massey, who has said he will not participate in the city's matching funds program, collected the $1.6 million from 826 donors who gave an average of $1,970. He also lent his campaign $1.27 million of his own money, while spending $1.96 million, which leaves him with $937,017 in cash on hand. De Blasio raised just over $1 million from 3,261 donors with the average donor giving $329. De Blasio said that's more donors to any New York City candidate since 1993. The distinction is important because the mayor is under federal and state probe for his fundraising efforts and has purposely pursued a Bernie Sanders-style strategy of going after small donors, even hiring Sanders' fundraisers. "I'm thrilled that so many people are contributing. Look, our goal here was to move our operation towards what I think is the shape of things to come — a lot more donations from the grassroots and a lot more involvement from the grassroots," de Blasio, a Democrat, said Tuesday at a press conference in Queens. "And we've been pretty explicit about the fact we are borrowing very lovingly from the Bernie Sanders playbook and we've actually gotten a lot of the same people involved in that campaign to come help us do it. And it's working." De Blasio spent $592,000 and expects matching funds of over $1 million for this six month period. Overall, the mayor has $2.2 million on hand. The mayor said he's not surprised that he was out raised by Massey. "It does not surprise me that a millionaire developer would be able to turn to lots of other people in real estate and in business and get a lot of large contributions," he told Errol Louis on NY 1 Monday, adding that he didn't know Massey or anything about his vision for the city. "I don't think the people of this city are looking for a developer to lead us forward," said de Blasio. Other declared and potential mayoral candidates did not match either Massey's or de Blasio's fundraising efforts. Comptroller Scott Stringer, who has been critical of de Blasio and is considered a leading possible Democratic challenger, raised $346,385 in the last six month period. He received money from 457 donors who gave an average of $758 and spent $84,598. Overall, Stringer has $1.7 million on hand and is expecting $128,000 in matching funds. Democratic State Senator Tony Avella raised only $725 from seven contributors but spent only $1.50 on electronic fundraising. Former City Councilman Sal Albanese reported no money raised. Bo Dietl, a private investigator and friend of President-elect Donald Trump, raised $282,656 but 66 percent of the money, or $186,473, came from donors outside of New York City. Charter school advocate Josh Thompson raised $154,000 and spent more than $95,000. Michel Faulkner, a Harlem minister and ex-New York Jet raised $18,600. Jimmy McMillan, who founded the Rent is Too Damn High party, raised $165 from four people. That's excluding the $3 in in-kind contributions McMillan gave to his campaign, $1 each for three separate postage mailings. So far, McMillan has spent $60 on MetroCards.